Lynne Michele was born in Vancouver, B.C. Canada. Drawing and painting have been a passion of Lynne’s from an early age. Throughout school she excelled in graphic design, drawing, and sculpture. Lynne was presented with several scholarships, which allowed her to continue her studies in fine art at Langara College. She paints mainly in oils, and has always been inspired by Impressionist paintings and bold painters such as Pino. Earlier Lynne studied with acclaimed artist Ron Hedrick for three years, and was a member of the Stave Falls Artist Group for four years. She has also attended workshops by artists Carolyn Anderson and Paul Chizik. Since then, Lynne has devoted countless hours to reach her dreams of spending her days capturing the beauty of colour and delicate light in everything that surrounds her. Living on the North Shore, surrounded by all that is West Coast, she has no trouble finding subject matter. 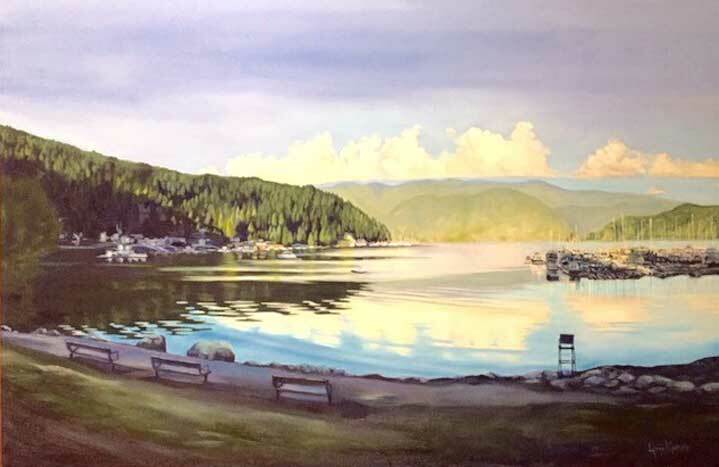 Many of Lynne’s paintings are being enjoyed in private homes here in the lower mainland and the Sunshine Coast.